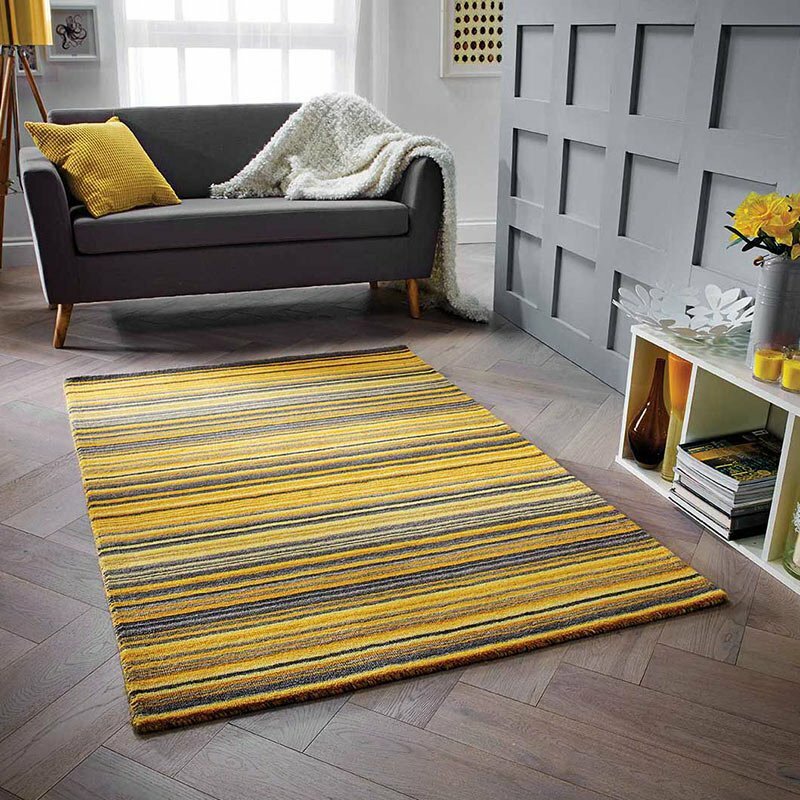 This contemporary and stylish collection of rugs by Mastercraft is of premium quality and one of our most highly sought after ranges. With 13 styles to choose from in grey, blue and brown tones, at first glance the collection appears simple, but each rug has its own unique design flair, with texture, fading colour and subtle pattern making each style unusual and striking. Available in four sizes, the Strata Rugs are made from 100% premium polyester. With a light reflecting lustrous sheen, the rugs subtly capture the light as it moves across the room during the day. Perfect for use as an area rug, why not try zoning your space by placing under a key piece of furniture to add texture, warmth and interest with this contemporary design.